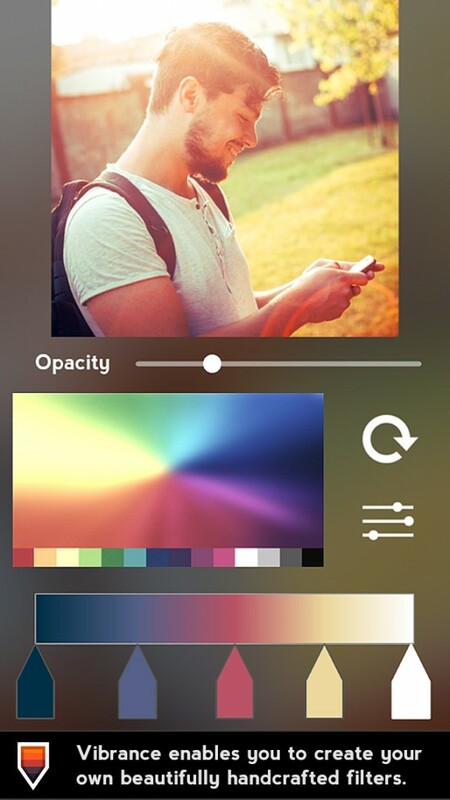 Vibrance - Photo Filter Creator (Free) by Cat Head Studios is an app that allows you to create your own custom filters for enhancing your photos. 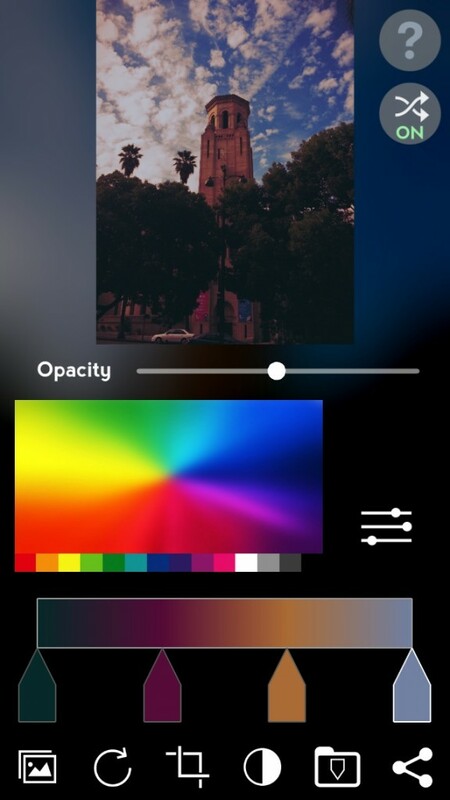 If you’re tired of all of the similarly designed filters that are in other apps and want to unleash your creativity and make one that is completely unique to you, then Vibrance can help you do it. An app like this could be a nice compliment to others like VSCO Cam and Litely. Over the years, ever since I got my first iPhone in 2008, I got addicted to photography, turning it into one of the hobbies I do in my spare time. I’ve taken thousands of photos since, and one of my favorite things to do was to edit them to be even better in various photography apps. However, I always noticed that most filters look the same, which can be a bit boring. There have been times I wished I could just create my own, but there was no app that did this (that I knew of), until now. 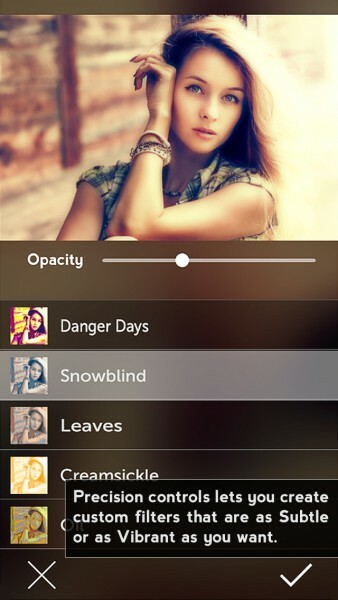 If you want to experiment with your own photo filters, then Vibrance is the perfect app for you. Vibrance sports a minimal yet flat interface that may seem a bit confusing at first, due to the app’s nature, but it is pretty easy to use once you get the hang of things. Upon first glance, Vibrance can seem a bit overwhelming, but I found things to be discernible because of the thin, recognizable iconography used. The dark theme of Vibrance is helpful since it helps users focus on the tools at hand, making the colors and effects stand out nicely in the photos. 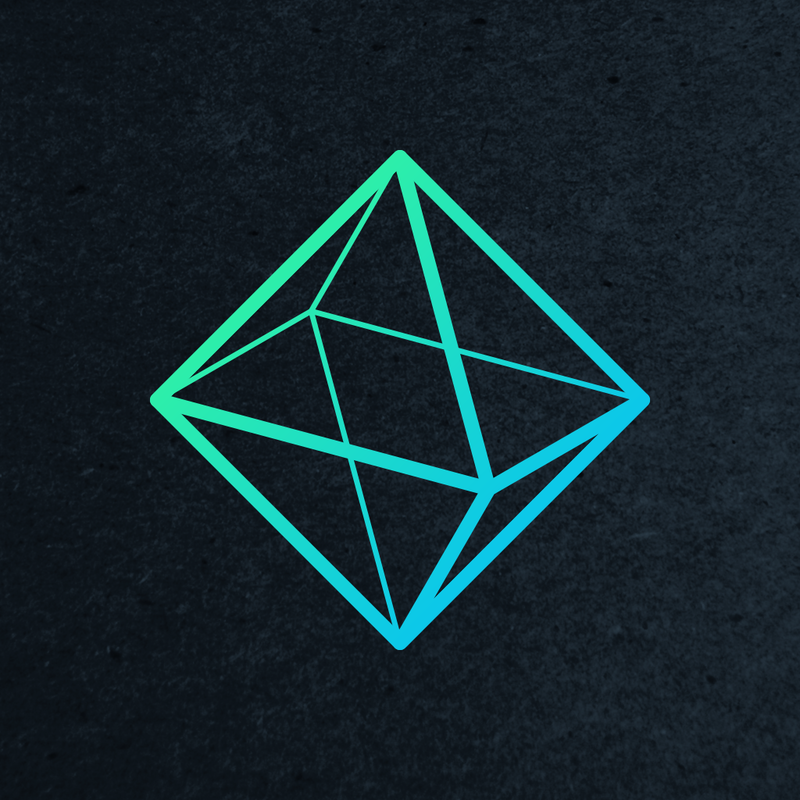 To help users get started, there is a 14-step tutorial that is optional on the first launch of the app. I recommend going through these, because they explain everything you need to know about the app. 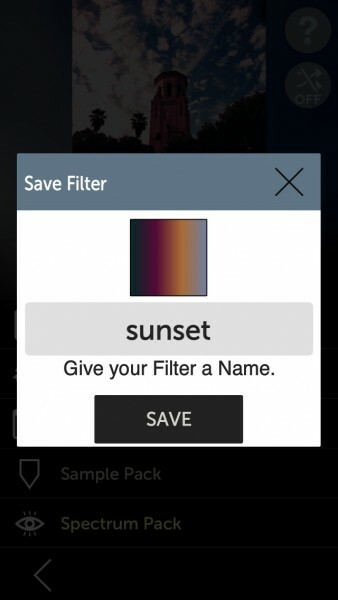 The app has four different options for fabricating your own preset: reset (to default settings), cropping, color controls, and filters. One thing about Vibrance that I didn’t particularly like is the fact that you cannot import your own photos without opting for the in-app purchase for Premium. 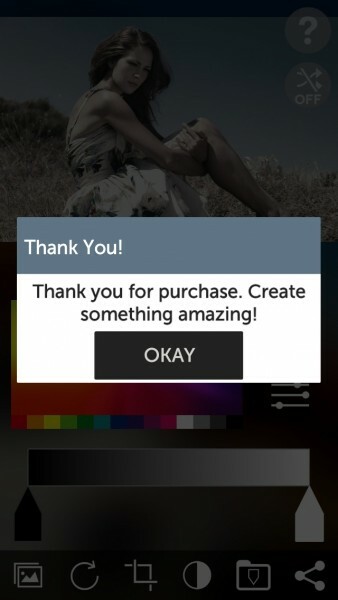 At the time of this writing, the app says you can get everything for $1.99, but when I completed the purchase, the confirmation said $0.99. Regardless of price, you need Premium to have the ability to import your own photos to use (otherwise the app seems a little useless) from the Photo Library or Camera, but it comes with four other filter packs that you can tweak to your desires. If you don’t pull the trigger for premium, you can still create your own filters in Vibrance (a sample image is used instead) and share them with the world, but you just can’t use them on your own images. 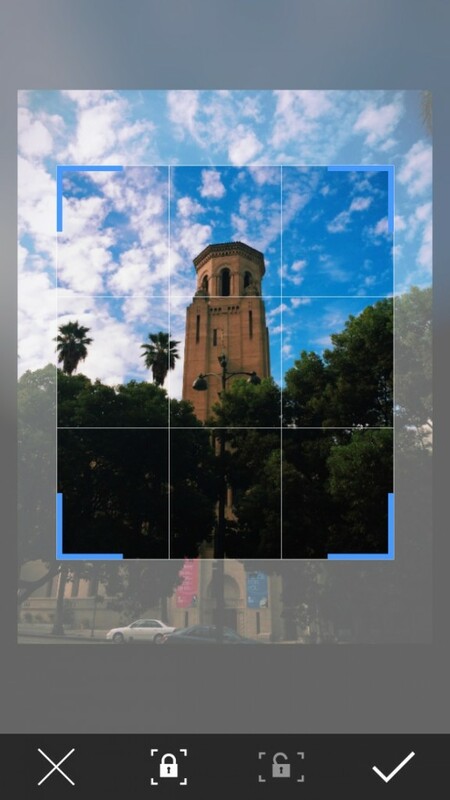 Tapping on the image itself gives users the power to zoom in or out of the photo, and you can use the slider to change opacity, which is how the original photo will blend in with the filter you design. The filter is made up of colors tabs — just tap on the tab you want to change, and then select the color you want from the picker. For best results, Vibrance suggests that you have the darker color on the left and lighter color on the right. Tapping on the bar will create another tab that you can customize. If you aren’t satisfied, just tap on the reset button to get back to the defaults. A tap on the “hamburger” button adjacent to the color picker gives you three sliders for adjusting saturation, contrast, and brightness of the color tabs. The Crop section is where you can crop your image if needed. Vibrance has options for switching freely between square or free mode cropping. 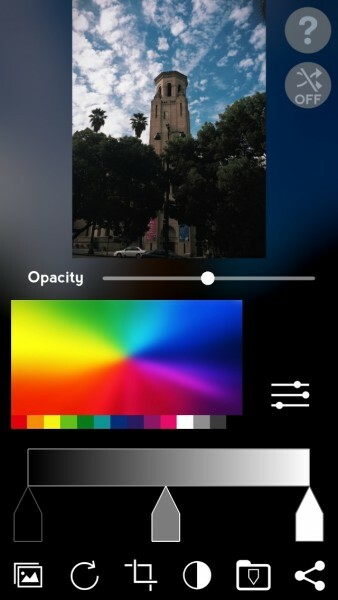 The Color Controls section is where you go if you want to change the all-over color settings for the entire photo, including Brightness, Contrast, Hue, and Saturation. Once you have created a fantastic filter effect, or you want to see the ones that are available to you from your Premium upgrade, just tap on the Filter tab. This is where you save your filters, view your saved productions, and any other packs that the app has. 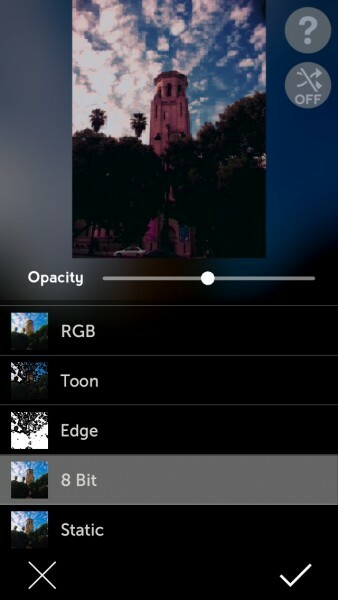 Vibrance also has a “Filter Shuffle” mode that you can activate with a tap as well, which generates a new filter when you shake your device. 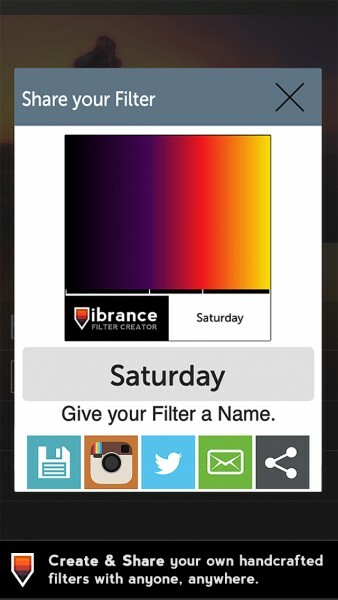 Vibrance is all about building and sharing, so there are several selections you can make from the Save/Share menu. Of course, there’s your standard save/share photo, but since Vibrance is about the filters, you can save any presets you create for use later, and you can share it with your social networks. There is even the capability to export all of your filters (.vibe file) and import entire libraries into your Vibrance app. This is great for keeping backups of your unique filters, and even sharing your work with friends. 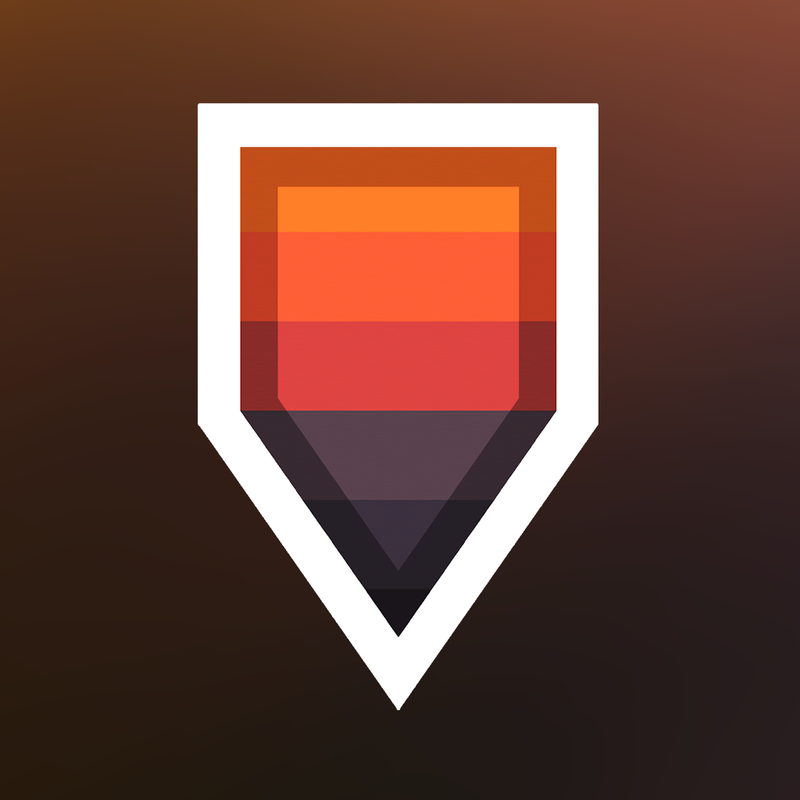 Despite being a bit confusing on the first launch, I’m enjoying Vibrance now that I understand fully how to use it. The provided tools are powerful and flexible to work with, so the sky’s the limit when you use the app. I just wish that the app gave users the ability to import photos with the initial download — what kind of photo editing app doesn’t allow you to import your own images? I wouldn’t mind so much if the Premium upgrade was just a lot of effect packs, but locking such a basic feature behind a paywall just seems silly to me. Still, Vibrance is incredibly fun to use and the results that can come out of it are fantastic. 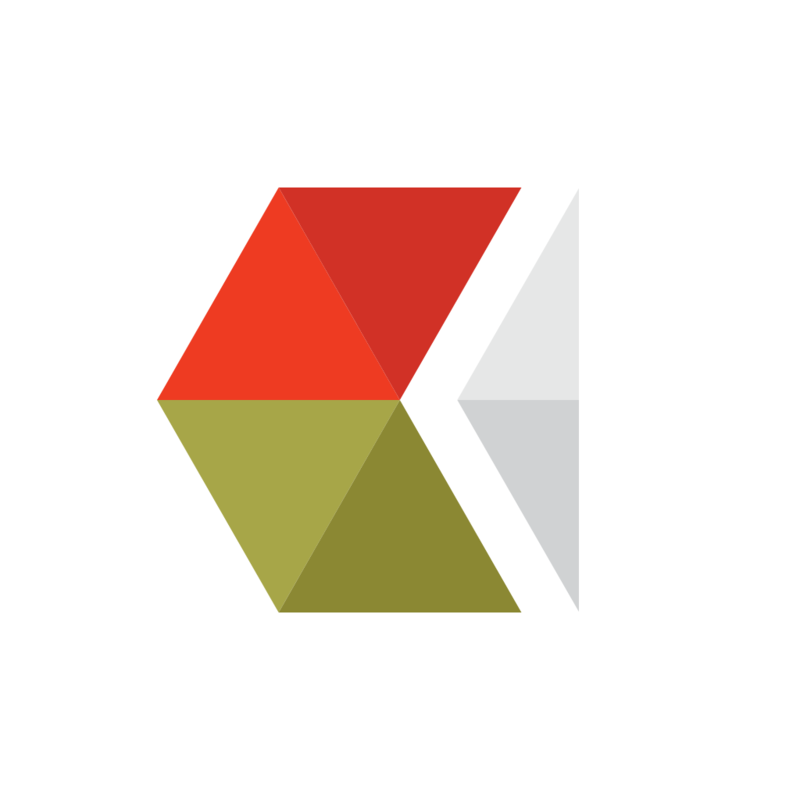 I recommend checking out Vibrance for yourself to see if it is a worthy addition to your iPhone photography toolkit. 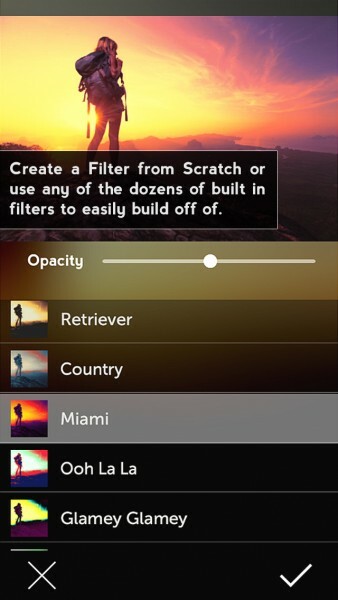 You can get Vibrance – Photo Filter Creator on the App Store as a universal download for free.